Tourism Development & Investment Company (TDIC), established in 2006 and fully owned by Abu Dhabi Tourism & Culture Authority, is a master developer of major tourism, cultural and residential destinations in Abu Dhabi. These include Saadiyat, a natural island ten-minute drive from downtown Abu Dhabi featuring luxury resorts, championship beachfront golf courses, sophisticated residential communities, retail destinations and cultural institutions. The standout features of the project are its three world class museums – Zayed National Museum, Louvre Abu Dhabi and Guggenheim Abu Dhabi – designed by Pritzker Prize-winning architects. 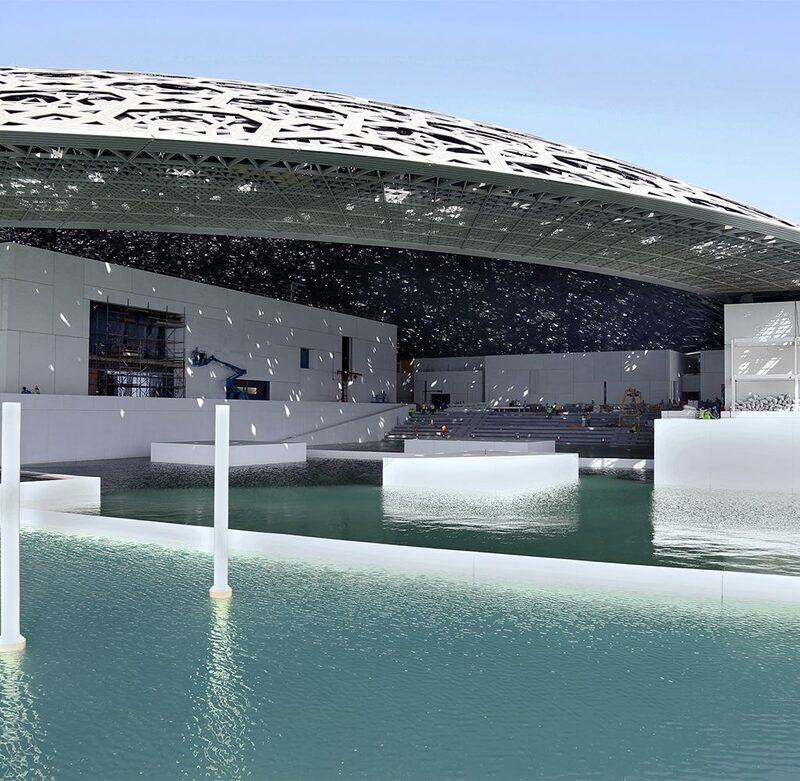 The Jean Novel-designed Louvre Abu Dhabi has reached an advance stage with its spectacular disc-shaped roof complete and outer walls removed to allow sea water to surround the building, giving it the appearance of being built on the sea. TDIC is also developing Desert Islands, a heritage-based tourism destination composed of eight islands – Sir Bani Yas Island, the historical Dalma Island and the previously unexplored Discovery Islands.